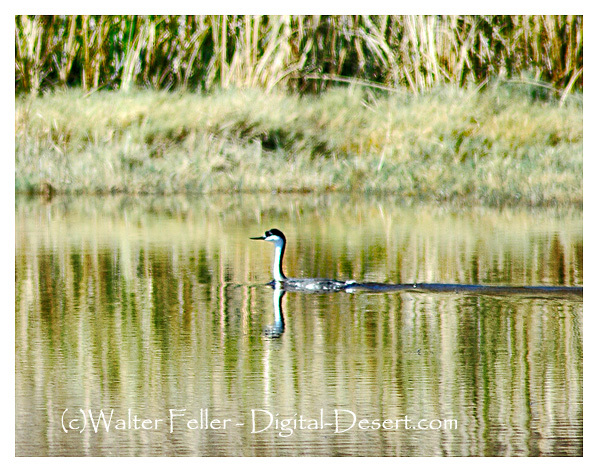 This is the largest North American grebe 56-74 cm (22"-29") long. It is black-and-white, with a long, slender, swan-like neck and red eyes. It is easily confused with Clark's Grebe, which shares the same features, behavior and habitat, and hybirds are known. The Western Grebe has black around the eyes and a straight greenish-yellow bill. The downy young of Western are grey.